The parade of storms will continue. Look for snow to develop in the Dakotas Tuesday night and progress west throughout Wednesday and drop very heavy snow in many areas. It appears to be the storm of the year so far. The heaviest snow will fall during the afternoon on Wed. and wind down at night. 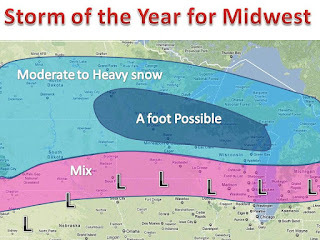 A foot of snow is very likely for many areas, especially southern MN and central/northern WI. Furthermore, there is a chance of ice accumulation in the pink area, but many conditions still need to come together for that to happen. Nevertheless, the pink area will see rain/snow/sleet and will be a mess for travel. 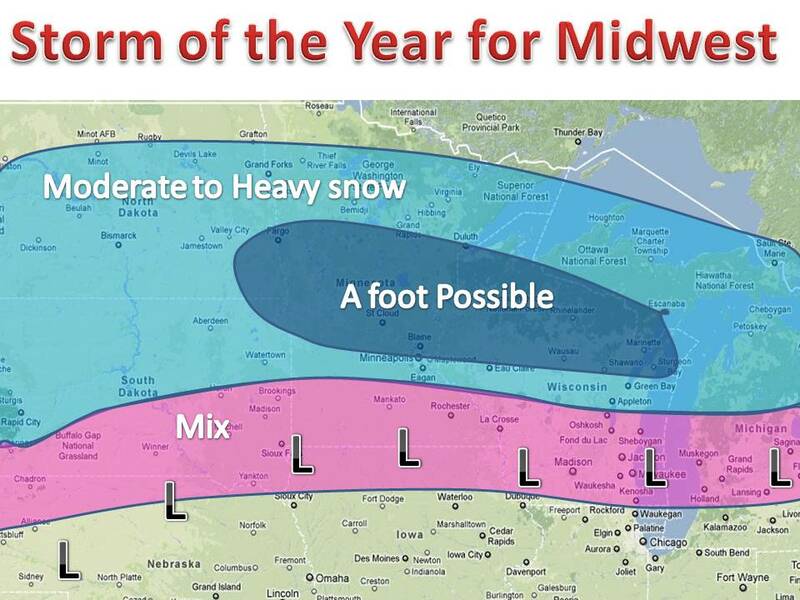 Stay tuned for this latest winter storm!